The BUILT® Cargo™ Laptop Sleeve delivers a style statement without compromising on its functionality. The complete design and look of this bag cries out fashion and therefore becomes your travel buddy that you will never want to leave behind. The BUILT® Cargo™ Laptop Sleeve delivers a style statement without compromising on its functionality. The complete design and look of this bag cries out fashion and therefore becomes your travel buddy that you will never want to leave behind. It flaunts of 3 stylized exterior pockets to hold accessories such as hard drives, mouse, cords, and USBs. It is also stain resistant and is made from protective neoprene wetsuit material. 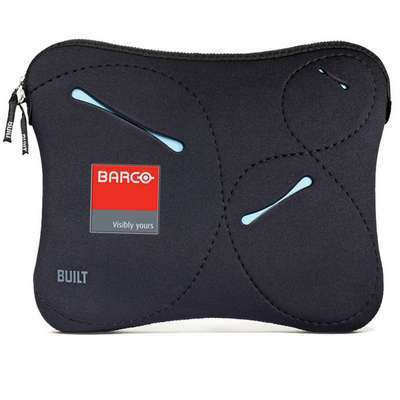 The Laptop Sleeve bag proves to be very check point friendly while holding your tech gadgets safe and neatly tucked in. Carry this accessory with your logo neatly imprinted to give a fillip to your promotional campaigns while you travel.